"Mandy is what yoga is all about. Mandy's delivery and equanimity in her teaching is perfect for the course and will definitely have people falling in love with the practice and wanting to follow in her footsteps! I would call Mandy a true "teacher" and have not met anyone before who has been so generous, sharing and forthcoming with their knowledge. ​Her combination of passion, seriousness, logic and humour are really special. Nothing but the utmost respect and love for everything Mandy has to offer!" Mandy is a self-confessed yoga nerd, her passion and love for the practice along with her willingness to share her personal insights and wisdom, shine through during our teacher trainings. She first came to yoga as a practitioner in 2007 seeking life balance and improved flexibility. She soon found so much more as the practice began to reveal some deeper truths. Significant life changes followed including walking away from her comfortable yet unsatisfying life as a Consulting Engineer. This created the space she desired to dive deeply into the practice and teachings of the ancient traditions of yoga. Several overseas immersions in Bali and India followed as Mandy begun to satisfy her deep curiosity and desire to discover and learn more. Over the years Mandy has completed more than 1000hrs of formal training covering a range of different styles including Vinyasa, Hatha, Therapy and Yin. She's taught classes and workshops in several locations across Australia and Asia but now calls the Sunshine Coast in Australia home. Mandy holds E-RYT 500 and YACEP Certifications with Yoga Alliance. She's been blessed to have many inspirational teachers along the way, each of them having greatly influenced the way she practices and teaches. Planning and facilitating Yoga Teacher Trainings was a natural, logical progression in Mandy's evolution as a teacher and student. Her love of detail, learning, and sharing her knowledge and passions, all came together in one place. Mandy has a unique talent for making difficult yogic concepts easier to grasp and also makes the principles of yogic philosophy simple to understand and apply in every day life. Mandy believes there is a yoga practice suitable for everyone. She views our yoga mats as the perfect training ground for life: always inviting the opportunity for self-enquiry, growth and transformation. ​Her students are her greatest teachers and she is humbled and honoured for each and every opportunity she has to guide others on this path. Helen first discovered Yoga in her early twenties, at a time she was experiencing severe anxiety and stress in her life. Through her own healing, Helen became deeply inspired by both the physical benefits of a regular yoga practice as well as the spiritual and emotional discovery that pranayama, meditation and asana delivers. Through a consistent physical practice, Helen began to recognize that her dharma (purpose) was to learn more, to dive deep and to share this transformational practice with others. She soon embarked on her first 200 hour teacher training in Kerala, India, an experience that changed her life forever. Helen taught in various locations throughout Queensland before finally settling in the beautiful Sunshine Coast in 2014. Her style of teaching has evolved over the years, however her passion to help others to balance the body and mind through yoga, meditation and relaxation remains the same. Whilst still enjoying flow, movement and the physical benefits of asana, Helen connects most with the spiritual aspects of yoga and is deeply drawn to the healing that restorative and meditation practices can offer. Becoming a mother of twins in 2017 has highlighted to her that yoga is constantly evolving within you, as with all of life’s hills and valleys. She is passionate about supporting all students to find that foothold on their own path. With the continuation of trainings, teaching and life experience and her own personal development over the last 10 years, Helen was inspired to co-create a platform for others to learn and this naturally led to the organic growth of our teacher training courses as a way to share this life changing practice further. Helen is filled with great joy by sharing these ancient teachings and feels honoured to witness the transformation and growth of our students. She has a deep love and respect for the practice and its ability to bring us back to our centre or atman (soul)… and that which we already know. "Helen's caring, loving energy shines through every word she speaks. I used to love just sitting there watching her drop into meditation and hope that one day I'll be as amazing as she is. Nothing but love and appreciation for her peaceful, calm teaching skills and knowledge". 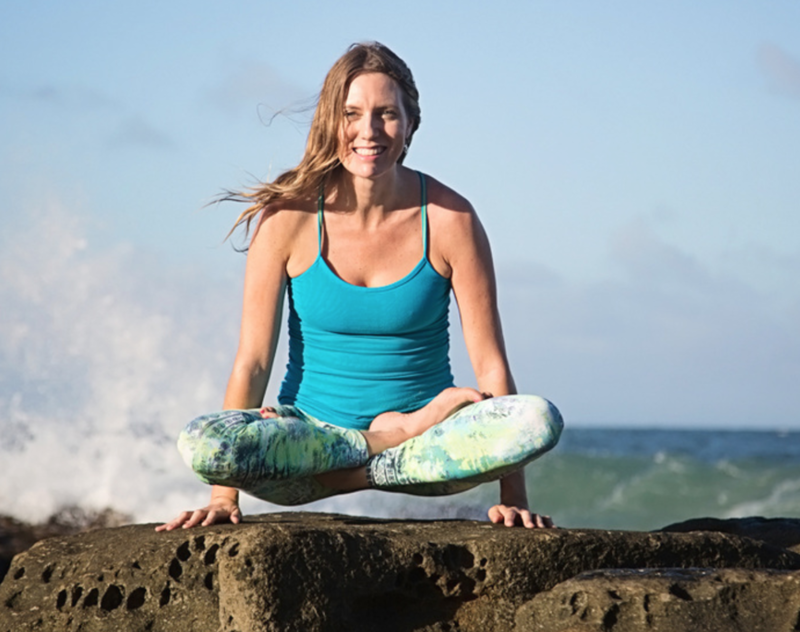 Lauren is a passionate business woman, yoga teacher and business mentor who has created and grown three thriving yoga communities across Australia. She is also the creator of The Love Tank - an online community that helps women to embrace self-love, seize opportunities and create the life they truly desire. Lauren’s energy and enthusiasm for life is contagious and she has a unique talent for helping others knock down the barriers that are holding them back. Her insights, compassion for people of all abilities and a light sense of humour bring a unique blend of instruction and guidance that is refreshing and down to earth. Lauren discovered yoga whilst she was running a full time PR company in Melbourne and within months of completing her teacher training was teaching full time. As a mother of two, she understands life’s challenges of finding time for ourselves and is passionate about assisting others with finding that balance. "There is no precise description of what yoga is, for each of us it is ever changing and evolving, such as in life. Yoga is about accepting yourself, getting to know yourself and learning to love that self. into all areas of your life. Yoga is as much to do with the breathing and letting go as it is to do with the stretching and strengthening of muscles." 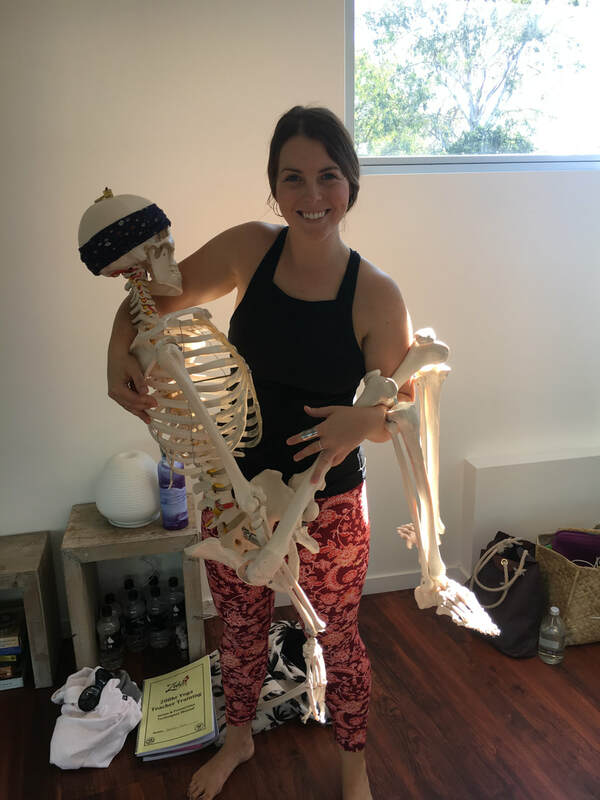 ​Sophie brings to each of our Zenko Teacher Trainings her university level knowledge of practical based anatomy, human biomechanics and injuries. Over six years Sophie studied to become a qualified Osteopath, through a double degree in a Bachelor of Health Science, and a Bachelor of Applied Science. Throughout her study she began to develop not only a deep understanding, but also a deep passion for the human body, the way it moved, and especially the way it could move more optimally to minimise an individuals pain and maximise their bodies potential. Sophie is the facilitator for anatomy based teacher training at Zenko Yoga, and has also tutored anatomy at University level. 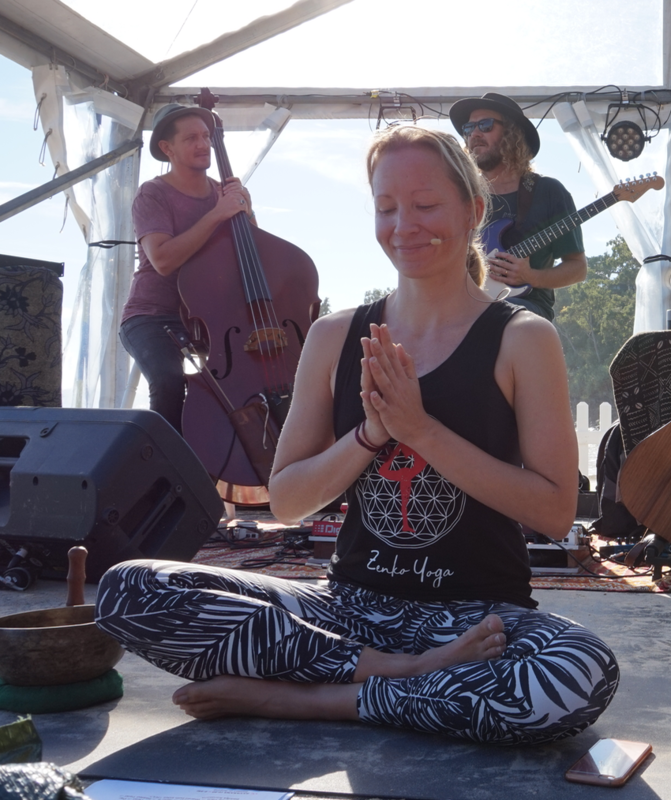 She is a fully qualified yoga teacher who can be found sharing Vinyasa Flow classes on the Sunshine Coast in Queensland. Sophie has found both personally and professionally, yoga to be a gateway to better movement, and improved overall health. Sophie’s passion for teaching safety and applied anatomy to yoga teachers has stemmed from her own injuries through yoga. Additionally, through treating yoga teachers in her osteo practice, Sophie found there to be evident gaps in the current teachings and knowledge of asanas and anatomy for already qualified teachers. It is through this that Sophie’s enthusiasm for safe and thorough anatomy teaching has grown. ​Since she could walk Sally has been experimenting with embodied expression, from dance to yoga, to circus and healing arts. She first began facilitating movement practices whilst at high-school as a part time dance teacher. During her tertiary studies of contemporary dance at Deakin University, Sally enrolled in her first Yoga Teacher Training at the Australian Yoga Academy. It was there where she met Lauren Verona and soon began teaching at Lauren’s studios when they opened in Melbourne. Sally has since taught yoga extensively across studios, retreats, trainings and festivals within Australia and abroad. Sally's yoga practice and teachings are greatly inspired by her background as a contemporary dancer, Ashtanga Vinyasa practitioner and then Shadow Yoga practitioner, AcroYogi, and her journey with Gwyn Williams and his healing modality Zenthai Shiatsu. She is also influenced by teachers Duncan Peak (Founder of Power Living Australia), Jesse Lee Parker (founder of Tao Yoga Arts), and the Vietnamese monk Thich Nhat Hanh’s teachings (founder of the Plum Village Monastery). From 2015 Sally has been involved with the Zenthai Shiatsu community as a student, facilitator, therapist and friend. Her practice and classes have since been greatly influenced by the lens of Chinese Medicine, and by her involvement in the development of Zenthai Flow. Sally identifies with being forever a sincere student, lover and ambassador of: nature, dance, Yoga, relationship, consciousness, kindness and touch. Being intrigued by the experiential anatomy of our inner landscapes, mother nature and timeless yogic concepts, Sally’s facilitation guides participants on a poetic journey with their breath, body and heart. I believe that the intimacy between ones own breath, body, mind and heart is where the foundations of “true home” exists. As we learn how to settle back into this “living home” we may just find that the “disconnectedness” and sense of “not belonging” fall away. A certain relaxation and harmony is realised deep within our being and with the natural world outside of us. As Yoga facilitators we can be ambassadors of this and touch the world around us as living examples. Stacey is the founder of Inspired Kids Yoga. We are excited to have her join the Zenko Yoga Teacher Training faculty, delivering the kids yoga module. It was in preschool, that Stacey declared she would be a teacher. After school she took the logical pathway and started a Bachelor of Education (Primary) however after the first year she had an alarming realisation that it wasn't the right context for her to teach in, as it didn't address the whole child's development in the way she felt was important. She changed direction, and went on to complete a Bachelor of Communication (Drama and Screen), with the vision to create a children's TV show to teach kids how to move their bodies and think positive. This dream led her to work at Network TEN for five years in studio production on live to air news and a preschool program called "In the Box". Feeling the stress of the TV industry impacting her health, she left her job in 2005, and did her first Yoga Teacher training course. She also undertook subsequent trainings in Acro Yoga (2008) and Yoga Therapy (2010/11). Over the last 12 years Stacey has taught yoga in primary and high schools, child care centres, yoga studios and in clinical settings. It was during 2012 that Stacey delivered her first Kids Yoga Teacher Training which has now grown into 'Inspired Kids Yoga'. She has delivered numerous trainings over the years and has continued to share her wealth of knowledge at a guest teacher at Yoga Fest and Wanderlust Festivals. Her mission is to inspire more people like you, to join her in this loving work, by whole heartedly sharing everything she has learnt along her journey. She hopes that this will empower you to join her in trying to make this world a better place. Chara Caruthers is a passionate and outspoken voice for the power of living your truth. An international teacher, speaker, author, advocate and mentor for women’s wellness, she has inspired and motivated a diverse global community of all ages to live juicier and more connected lives by embracing the principles of Yoga and Ayurveda. A global citizen, she was born and raised in Southern California, and has lived on five continents. She spent years as a successful corporate engineer in the fast paced environments of LA, New York, London and Sydney, before choosing to step away from it all in order to save herself, find her true voice, and live a more authentic life. A long-time practitioner and student of yoga (she fell asleep in her first yoga class more than 25 years ago, and has embraced the process of waking up ever since), Chara is a certified Yoga Therapist (C-IAYT) and has taught yoga around the globe for nearly a decade. She has worked with students of all ages and backgrounds, trained yoga teachers, and supported her community through the creation yoga outreach programs for homeless adults and at risk youth. Chara has studied and practiced Ayurveda in the United States, Australia and India and is a graduate of the American Institute of Vedic Studies (USA), the International Academy of Ayurveda (Pune, India), and Kerala Ayurveda Academy (Kerala, India). Her work is focused on sharing these ancient principles in a modern context empowering wellness seekers of all backgrounds and cultures to boldly embrace the responsibility we all have to know and love ourselves. Bettina began yoga teaching after moving to a small rural community for work and finding there was no where to go for yoga - so she decided would have to create the space herself! She completed her initial teacher training at The Byron Yoga School and later went on to specialise in pre and postnatal yoga. While she was already teaching yoga well before she became a Mother, it was this transformation that really showed her the power of the yoga practice. Being a mum to three boys (Rory, Eamon and Luca), Bettina openly and honestly shares her experiences of pregnancy and motherhood. Inspired to empower other women on their own personal journeys Bettina founded YogaKin. 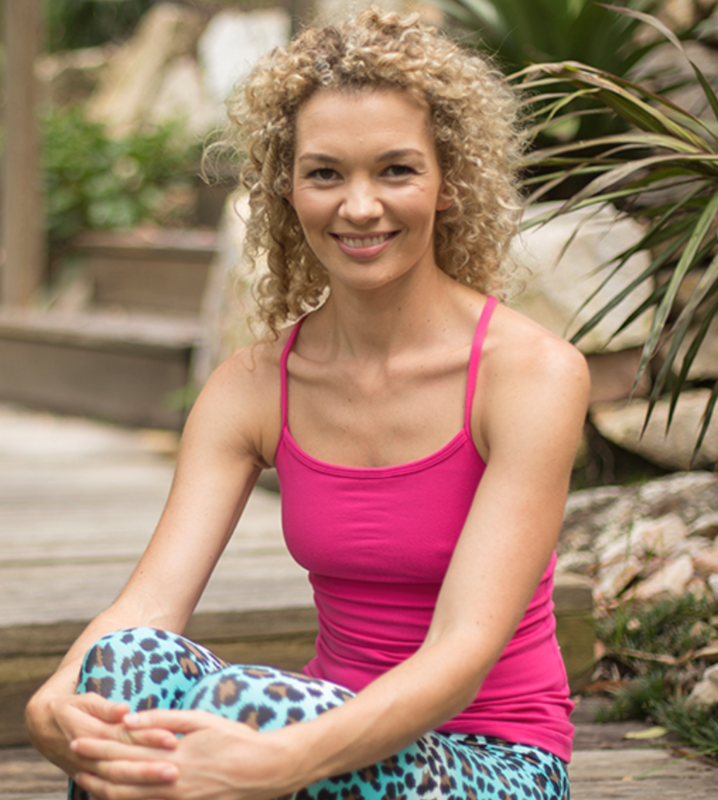 She specialises in yoga for fertility, pregnancy and mums and bubs yoga. She also writes and creates resources to help women get out of their heads and into their bodies, to feel more like their old selves and perhaps even find a little more zen amongst the craziness of motherhood.